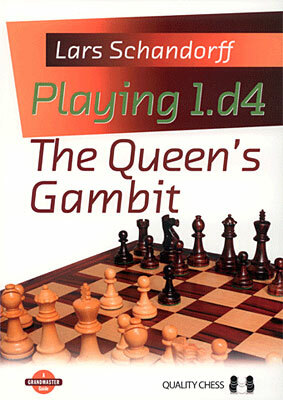 Produktinformationen "Schandorff, Playing 1.d4 - The Queen's Gambit kartoniert"
Playing 1.d4 The Queen s Gambit is part of an ambitious two-volume repertoire for White with 1.d4. The core of the repertoire from the first edition, published in 2009, is retained, but a multitude of details have been updated and improved within the lines. This is both the same repertoire but at the same time so much more, as when a boy grows up and becomes a man many features are unchanged, but his strength and knowledge are expanded immensely. The Bishop Sacrifice - 15...b5 etc. Weiterführende Links zu "Schandorff, Playing 1.d4 - The Queen's Gambit kartoniert"
Kundenbewertungen für "Schandorff, Playing 1.d4 - The Queen's Gambit kartoniert"